There is a lot of information (and opinion) about how to get your infant to sleep through the night. Cry it out/don’t cry it out, rocking/no rocking, co-sleeping/crib sleeping, white noise/no noise, breastfeeding or bottle-feeding. Everyone has an idea about what works. Like I said earlier, there is very little data to support one technique over another. Auspiciously, there is new data that may help us know what NOT to do. Researchers found 3 things to avoid while helping your baby learn to sleep through the night. A new study refutes an urban legend: feeding rice cereal keeps babies asleep. No rice cereal before 4 months. Feeding rice cereal early in infancy doesn’t help babies/toddlers sleep longer. Many parents hear that rice cereal will satiate a baby to the point that they’ll avoid overnight feeds. The study found babies who were fed rice cereal before 4 months of age slept LESS. I recommend no solids until about 6 months of age. Not because rice cereal is necessarily harmful, rather it likely isn’t helpful and what’s the rush? Wait until the baby is able to sit up independently, then give it a go. No TV. Research (and instincts) tell us television isn’t good for infants & toddlers. In this study, babies who were placed in front of the TV, slept less at age 1 and 2 years of age. The AAP recommends no TV until age 2. Some families find that impossible. Whatever you do, this study may encourage you to wait until your baby is sleeping through the night. Avoid depression. Postpartum depression was associated with less sleep in babies and toddlers. Nearly 80% of women who give birth have the “baby blues,” but some women go on to suffer from postpartum depression. Prompt diagnosis and help can improve a mother’s enjoyment of the baby, her suffering, and the baby’s sleep. If you’re worried about your mood or sadness, or another mother’s mood, you can get help. Postpartum depression can be treated. Call the doctor for an appointment to discuss. Or talk with your infant’s pediatrician. It’s always okay to ask for help. Also, two wildcard non-issues: breast-feeding (versus formula) & maternal smoking seemed to have no effect on sleep duration in the 1 and 2 year-olds. There you go, the anti-advice. Just 3 things to try not to do. All in the never-ending quest for a good night of sleep. 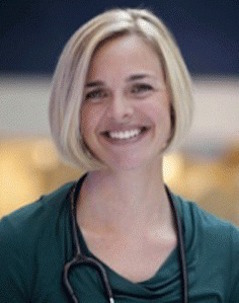 Dr. Wendy Sue Swanson is a pediatrician and mother of two young boys. She maintains a busy pediatric practice and writes Seattle Mama Doc blog, the first pediatrician-authored blog for a major Children's hospital. Seems more like baby’s lack of sleep could drive up ppd. How are they sure the causality goes from mother to baby and not the other way? oh we can avoid postpartum huh sure wish that were true, of only we had the power ourselfs to control mental illnesses what a joke this is how insesitive i am shocked by this. I’m sorry you are offended by this post. I believe the author was acknowledging how real postpartum depression is and the need for help. If you or someone you know is going through depression, postpartum or otherwise, take it seriously and discuss it will a healthcare professional.